We’d love your help. Let us know what’s wrong with this preview of Hope's Well by India Emerald. We all have our demons, but Verity's are real. Verity Buckthorne is missing. She's not the first girl in Sommerspire to disappear, but she's the only one whose parents donate to the Mysterium's Annual Fundraiser. And with such an important young lady unaccounted for, something must be done. Investigator Peter Adler is given unprecedented access to Verity's room and belonging We all have our demons, but Verity's are real. Investigator Peter Adler is given unprecedented access to Verity's room and belongings, including her precious diary. Overstretched; Investigator Adler wrestles with a mountain of information, an obstructive expert, and an adversary too fantastical to believe in. It's only when another girl's diary falls into his hands, that he can free himself from the ordinary and allow the incomprehensible in. But the diary's contents prove far darker than Verity's innocent scribblings, and Peter is forced to act quickly. Because now he knows where Verity is headed and none of the other girls have lived to tell their tale. To ask other readers questions about Hope's Well, please sign up. Once I began reading this story, I had to reach the end. It's fast-paced and full of suspense. The end of this story has me thinking about fantasy, reality, and our own ability to interpret events and convince ourselves of what is true... even if it's not. I believe this story will mean different things to different readers. This is an imaginative and engrossing story. 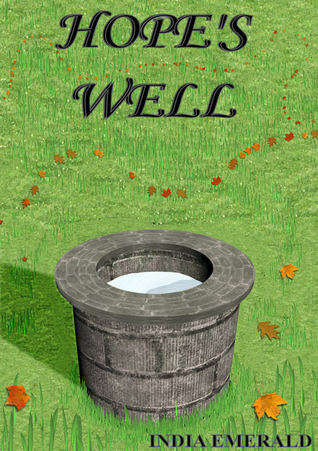 ‘Hope’s Well’ tells the tale of Verity Buckthorne and her fascination with a mysterious well near her home. The reader develops quite an insight into the working of Verity’s mind by reading her diary entries, which makes the story interesting on a psychological level as well as a fictional one. The tale is crafted cleverly, with a slow build toward the climax and suggestions of other mysteries along the way. It has a lovely reminiscent sense of times gone by and old-fashioned Excellent reading. The tale is crafted cleverly, with a slow build toward the climax and suggestions of other mysteries along the way. It has a lovely reminiscent sense of times gone by and old-fashioned charm, achieved by the author’s development of both characters and setting. Spur of the moment I grabbed this book, not knowing what to expect. It has a bit of fantasy, intrigue, paranormal and a mystery to solve. It has two distinct povs, one as a diary and the other an investigator report. I throughly enjoyed it! I would recommend this book. Hope's Well is a short but super fun story. Told in the form of diary entries from a missing girl and investigative notes from the detective searching for her. It was a well executed story. Well worth (a little of) your time! As soon as I started to read this short story I had to finish it. Brilliantly woven with suspense, the story is told through the use of diary entries so the reader gets an intimate ride and as its a clean read it has a wide ranging age range. I've always liked stories told through journal entries or dear diary like this one. They seem so much more intimate. This story is told through the diaries of two girls that have disappeared and also the investigator hired to find them.